Testa & Pagnanelli LLC, provides knowledgeable counsel and aggressive advocacy in divorce and family law matters in Philadelphia, Pennsylvania, and surrounding counties. As a solo attorney who focuses exclusively in this area of the law, Maria Testa is able to provide attentive service and individualized solutions for these complex and highly charged matters. As your family law attorney, Maria Testa will take the time to listen to the facts of your situation and address your questions and concerns. She will then help you decide on a course of action that will put you in the best position to achieve your goals regarding property division, child custody, child support, alimony or any other issues. Her law firm handles divorce and initial court orders, as well as modifications and enforcement. Negotiations may be attempted to avoid an emotionally and financially draining legal battle, but when litigation is necessary, Maria Testa has the courtroom skills to fight for her clients. In or out of court, you can count on compassionate support, honest advice, practical solutions and protection of your interests. 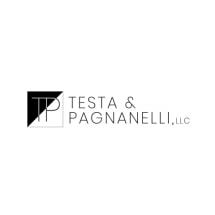 Testa & Pagnanelli LLC serve the Greater Philly area, Montgomery County and southwest Pennsylvania. Contact our law firm at 215-392-0863 for a free consultation. I am Maria Testa, a compassionate counselor and skilled negotiator, and when my clients need me to be I am an aggressive and strategic trial lawyer. I assist clients in a wide range of family law matters from divorce to grandparents' rights. Our firm - Testa & Pagnanelli LLC - represents clients throughout Philadelphia in every type of divorce litigation. We have experience handling contested and uncontested divorce for couples with simple or complex estates. Testa & Pagnanelli LLC, is sensitive to the realities of co-parenting. Family law is all I do, and I know that few legal issues are more important or more emotionally charged than child custody. After a divorce, it takes both sides time to adjust to life without the support of the other spouse. We work with clients throughout the Philadelphia area to help them receive the financial support they need and deserve after a divorce. If you are a victim of abuse, it is important that you contact the proper authorities and an experienced domestic violence attorney immediately. In cases of domestic violence, our primary focus is on protecting your safety, now and in the future.